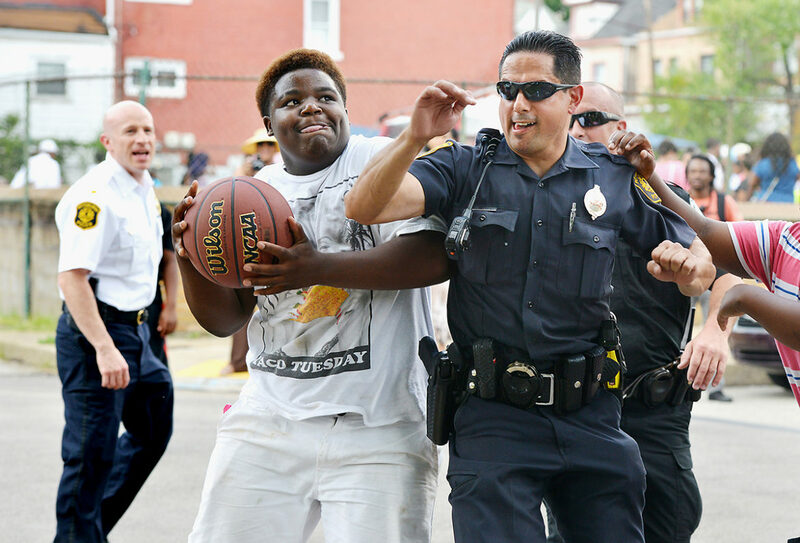 Pittsburgh police officers are fighting bad blood with basketball. 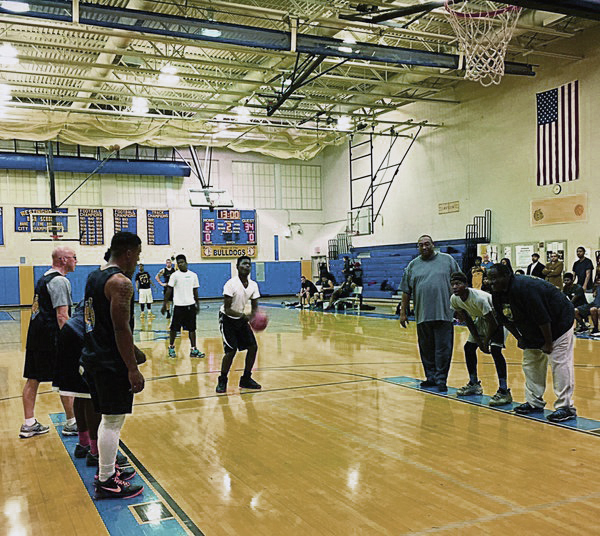 At Westinghouse Academy in early December, officers towered over the middle school squad, jumping to an early lead. That crumbled when the high schoolers took over at halftime. Bad for officers’ egos. But the game's goal goes beyond the scoreboard; it’s an attempt to heal years of strained relations. Pittsburgh Police Zone 5 Commander Jason Lando said he was amazed when students contacted him about organizing the event. 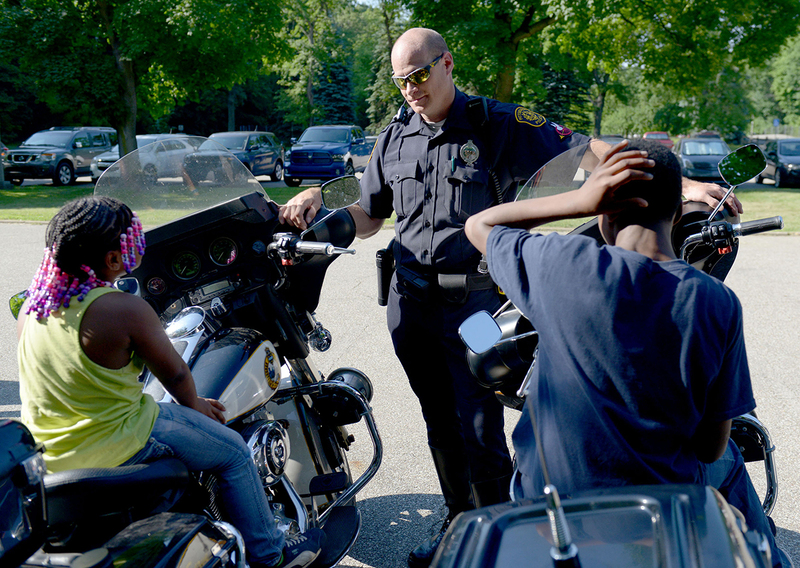 Police had previously met with the Westinghouse kids as part of their outreach efforts. It started tense, Lando said, with a lot of anger directed toward the officers. Over about two hours, the two groups started to connect, and the youth were eager to meet again. That’s not how it’s always been. Pittsburgh’s black communities have for years complained about city police treating them with disrespect and, sometimes, outright brutality. A city initiative to reduce violence stalled, even as homicides spiked and police failed to solve roughly half of all killings — many involving young black men. So police are trying again. The bureau is actively courting community support, bolstered by federal assistance and the relaunch of the city’s anti-violence intervention program. Success means a break from years of baggage and false starts. Failing means continued violence, ongoing distrust, and a growing backlog of unsolved homicides. It’s been a tumultuous period for the city police force. And, simultaneously, certain Pittsburgh neighborhoods have been enduring some brutal years. In 2014, police investigated 70 homicides, one of the most violent totals in the 50 years of available records. Nearly half remain unsolved. The city’s former police chief had already resigned in scandal, officers fled in droves, and the department for years botched deployment of the Pittsburgh Initiative to Reduce Crime (PIRC). The main strategy is simple: focus enforcement and social services at the city’s most violent residents. It’s been used in Boston – then adopted in numerous other cities – since 1996. David Kennedy, architect of the Boston program, called the lack of support from Pittsburgh police one of the worst embarrassments of his career, according to the Pittsburgh Post-Gazette. A 2014 report on street violence by Allegheny County faulted Pittsburgh police for failing to share adequate intelligence on serious offenders with others involved in the PIRC program, and for saturating whole neighborhoods with patrols rather than targeting suspected offenders. “We didn’t involve the community in the manner that was needed, in a manner that was meaningful,” Pittsburgh Police Major Crimes Commander Larry Scirotto said of the program launched in 2010. In the meantime, scores of young men died. The scenes are clustered in Homewood and the Hill District, victims killed in exactly the type of violence PIRC was designed to reduce. So now there’s Group Violence Intervention (GVI) — another try at the same concepts that have cost the city more than $1 million. Jay Gilmer, who coordinates the anti-violence program outside the bureau, said improvements under McLay have been “staggering.” So while the ideas behind PIRC and GVI are theoretically the same, he said the support from police and emphasis on national research have essentially made it a new program. “It’s a change of thinking,” said Gilmer, describing the reincarnation as still in its infancy. Sam Bieler, a research associate at the Urban Institute, a Washington, D.C., think tank, said intervention programs don’t work unless they have broad community support and “sustained buy-in” from leadership to the rank and file, even through initial failures. As chief in Santa Ana, Calif., Paul Walters faced a high number of gang homicides. Witnesses wouldn’t talk. Police routinely failed to make arrests. But then the department changed how it did business. They separated homicides involving gangs into a separate unit, hired back retired detectives to focus exclusively on old cases and emphasized DNA work, community policing and cost-free collaborations with other agencies. It worked. The city, which has about 30,000 more residents than Pittsburgh, had 78 homicides in 1993, with only a fraction of them solved. Compare that to 14 murders in 2015. In several recent years, Santa Ana police have cleared murders as they’ve occurred and put old cases to bed. Resources were scarce. While Santa Ana’s population rose to 334,000 people, the size of its department actually shrunk, said Walters, now retired and an executive fellow at the Washington, D.C.-based Police Foundation, which conducts research and consults for police organizations. “You can’t just say ‘We can’t do it ’cause we don’t have the resources,’” Walters said. Nationally, 64.5 percent of murders result in an arrest, according to 2014 FBI figures. Solving cases is a matter of political will, said Thomas Hargrove, founder of the Murder Accountability Project, a nonprofit that tracks unsolved homicides. Officials often don’t make solving homicides a priority, he said. “We are convinced that inadequate resources are being applied to homicide in most places in America,” said Hargrove, a retired investigative journalist. He points to Philadelphia as an example of how things can improve. In 2007, police there cleared less than 60 percent of homicides. Then, Mayor Michael Nutter was elected on a crime-conscious platform; the department made solving murders a priority; and the clearance rate rose to 75 percent. The city has “gangs galore” and organized crime, Hargrove said. Yet arrests were made. Still, Philadelphia’s homicides jumped 12 percent to 277 killed in 2015, with a solve rate of barely 50 percent. The city’s retiring police commissioner said drug-related killings and a lack of witness cooperation could have been contributing factors. 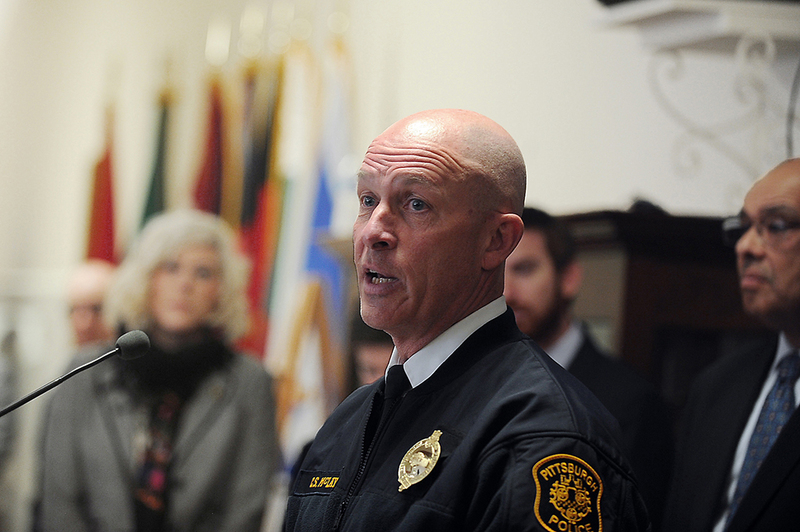 Homicides in Pittsburgh dropped 20 percent in 2015, McLay’s first full year as chief. The total of 56 murders, however, is the second highest in seven years. Shootings spiked, as did gun assaults. Most of the city’s violence is segregated in predictable, commonly vilified neighborhoods. Kevin Acklin, the chief of staff for Pittsburgh Mayor Bill Peduto, said solving crimes is a top priority in neighborhoods like Homewood that have suffered from years of disinvestment. He also stressed the importance of economic efforts like increasing job training and affordable housing. In September, police moved homicide detectives into a joint unit that also investigates robberies and non-fatal shootings. The intent is to increase the number of detectives involved in murder investigations and to improve efficiency, even as the department struggles to recruit officers. Commander Scirotto said the new efforts have led to quicker arrests and a notable increase in community cooperation. Police are also working more closely with county prosecutors, Acklin said, and increased emphasis on grand juries also gives more protection to witnesses. Pittsburgh was also selected as one of six pilot cities for a $4.75 million Justice Department initiative to improve community policing, a major principle of McLay’s leadership. The city is also getting federally-funded guidance on improving the effectiveness of murder investigations. These initiatives give the department added resources without straining the city’s budget. McLay says “hope” is not a sound leadership strategy. It means officers going to community meetings, walking neighborhoods instead of driving by in anonymized squad cars, being courteous in the face of distrust and fear and playing basketball in Homewood. And it means working smarter, sharing information with partners, using data and technology, learning from other departments and accepting and encouraging community support. McLay said he’s seen a positive shift. He knows police shoulder much of the blame for past failings and much of the responsibility moving forward. He also knows community support is crucial. Otherwise progress won’t last. Reach Jeffrey Benzing at 412-315-0265 or jbenzing@publicsource.org. Follow him on Twitter @jabenzing. Megan Harris of WESA contributed to this report. CRIMINAL JUSTICE Two men have been charged in the shooting deaths of five people and an unborn child at a March 9 Wilkinsburg cookout, according to an announcement by the Allegheny County District Attorney on Thursday. Feb. 17, 2016: In an effort to raise awareness of community violence, students at Pittsburgh Lincoln elementary school held an outdoor rally and peace march on Wednesday morning. The event was organized by students in grades 3-5 as part of their project-based learning curriculum; the students voted to focus efforts on crime in their neighborhoods and police brutality. VIDEO For years, Pittsburgh police have been criticized for struggling to reduce retaliatory violence and to regain community trust. As the bureau recasts its efforts, residents continue the work they’ve been doing for years to make their neighborhoods safer and keep young men away from violence.